Our mission at Avant-Guardian is to be an incubator, producer, and advocate of innovative theatrical and artistic works that blur the lines of genre, push the boundaries of performance and visual installation, and encourage interactivity with artists and their audiences. Collaboration, creativity, and curiosity are the lifeblood of our agency. 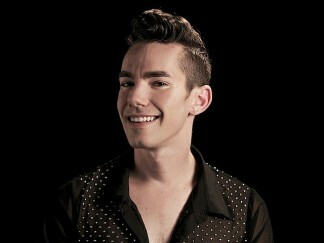 Based in Tampa Bay, FL, Zachary is a practicing Creative Arts Professional. Soon after graduating the University of Tampa and concluding a year-long conservatory intensive at London’s British American Drama Academy, he began creating and producing several cabarets with longtime collaborator Colleen Cherry. So far his ventures have earned him a Best of the Bay award, he was named one of the most promising young artists under 25, and has received considerable press recognition. He founded Avant-Guardian in 2014 to further explore his experimental fancies and collaborative tendencies. Colleen graduated from the University of Tampa with a Bachelors in Performing Arts. Since then she has performed with numerous theatre companies including Asolo Rep, American Stage, The Straz Center, Theatre Under the Stars, Manhattan Class Company, Tampa Rep, New Stage Theatre and touring with Stages Productions. 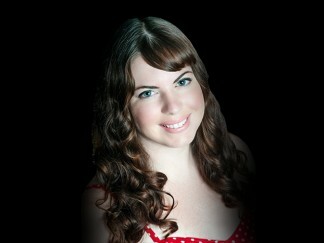 Colleen has produced numerous cabarets and events with Zachary garnering three Best of the Bay Awards. Through Avant-Guardian she hopes to inspire and create immersive and collaborative experiences accessible to a multifarious audience thereby expanding our growing arts scene. Gathering diverse and progressive artists, musicians, theatre-makers, designers, writers, and performers to collaborate on new and original projects. Once projects are ready for public consumption, providing the means and resources necessary to make them come to life. Tampa Bay is where we call home. We are invested in the future of the arts in this exciting up-and-coming region and hope to ignite community, business, and political support for local artistic endeavors.